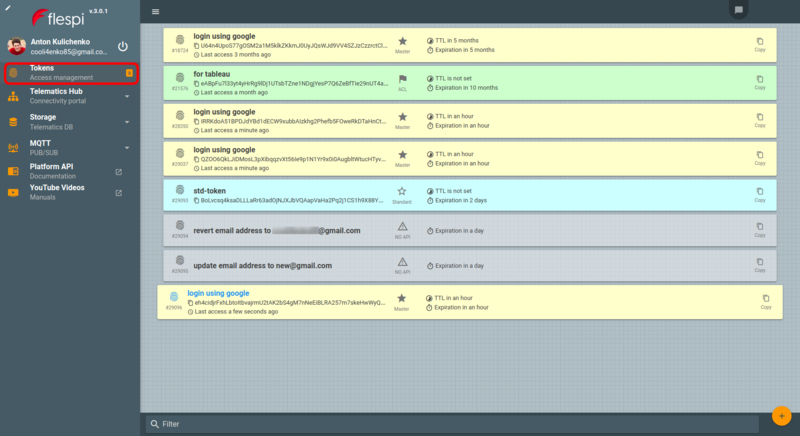 Mode selector depending on the functionality you use, new design, and color schemes. Dear flespi fans! 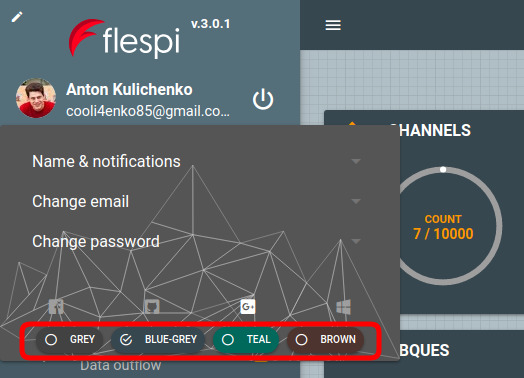 Having analyzed our customer base we saw two distinct groups of users needing different functions of the flespi ecosystem — telematics connectivity hub and MQTT broker. These two rarely overlap (even though it’s not prohibited), so we decided to let you see what you use and eliminate unwanted elements from the flespi panel. Note: the dashboard adjusts automatically depending on the platform components you pick. In Telematics Hub mode you will not see the Storage and MQTT Broker menu items. 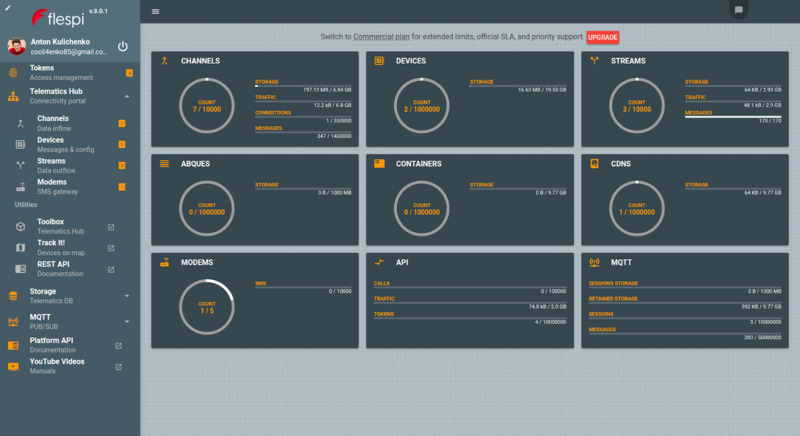 In MQTT Broker mode you will not see the Telematics hub and Storage. 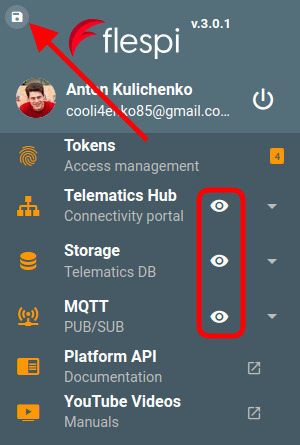 In Both mode, you will not see Storage but will see both Telematics Hub and MQTT Broker menu items. You can change the preferences any time! Just click on the pencil icon at the top left corner of the flespi panel screen and use the eye icons to show/hide respective menu items. Add the items you need and remove the ones you don’t. Then click the pencil-turned-save icon to apply changes. We’ve made each mode self-sufficient and logical — the order of items in the submenu reflects the most commonly followed sequence of steps. The link to the relevant documentation now sits in each block and refers to the proper section of the flespi REST API. Sublabels make the menu items more descriptive for the newcomer. The practical aspect of having several color schemes is that you can make your dev and production panels easily distinguishable. Note: the active token is wider than others so you can easily recognize it in a big list. This flespi panel overhaul aims to help you stay focused on your primary tasks, minimize confusion, and make all auxiliary tools easily available. Enjoy and give us your feedack.